British Exit or commonly referred to as ‘Brexit’, refers to UK’s decision on the 23rd of June, 2016, via a referendum to cease to be a member of the European Union (EU). Although, the votes in the referendum were unexpected and its effect on the British economy as a whole was startling during those first few weeks as the British Pounds crashed to its lowest ebb in three decades and the then Prime Minister, David Cameron who was strongly pro-EU, eventually resigned following the outcome of the referendum. Meanwhile, the whole stir and uncertainty prompted by a shock Brexit move have already started having a significant impact on recruitment and talent professionals across the country. Similarly, the Resourcing and Talent Planning survey reckons that there is a very evident caution being exercised towards organisations’ recruitments. Also, over three-fifths of organisations predict that they expect to encounter difficulties in recruiting both technical/skilled employees in the next three-five years as a direct result of UK’s decision to leave the EU, while a further two-fifths of organisations predict that it could considerably get more difficult to recruit operational staff. However, regarding migrant employment, the survey reveals that regardless of Brexit, the number of organisation that are seeking to recruit EU migrants across all major sectors in 2016 has not changed from what is typically expected in 2017. Also, the Spring Labour Market Outlook survey data reveals that the labour market is at the moment unable to fulfil the labour demands of some prospective employers; this isn’t exactly surprising as unemployment levels have since fallen to a 42-year low. According to an Autumn 2015 LMO report, there has been a 16% increase, up from 40% of employers who allege that they are currently experiencing difficulties in filling certain roles in their organisations. Employers also point to the lack of qualifications, skills and experience as major reasons why there is a lack of qualified employers to fill their vacant roles. 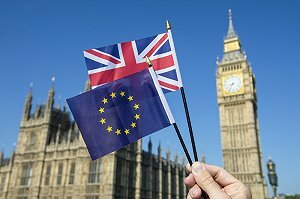 Furthermore, labour market outlook also reports that around 12% of the private firms in the UK have indicated that the Brexit move may force them to relocate a part or all of their business operations abroad – with Republic of Ireland, Germany, and France been mooted as population destinations. Ultimately, the full impact of Brexit may spark a basic change in the role that recruiters assume. This may be chiefly down to the fact that recruiters who fear that they may come under stricter scrutiny will choose to play it safe and may not take on new recruits. A further third of current employers of EU nationals report that some of their workers are pondering leaving – around half in healthcare and 40% in the public sector. It is expected that this trend may likely continue as the years go by. While there is no certainty as to what exactly Brexit holds for recruitment in the UK – at least not until conclusions are made for Brexit to take full effect. Meanwhile, Organisations are tasked to keep all their workers updated on happenings as this will ensure that most of the fear and rumours arising from the decision to leave the EU will be quelled amongst UK and EU nationals alike.